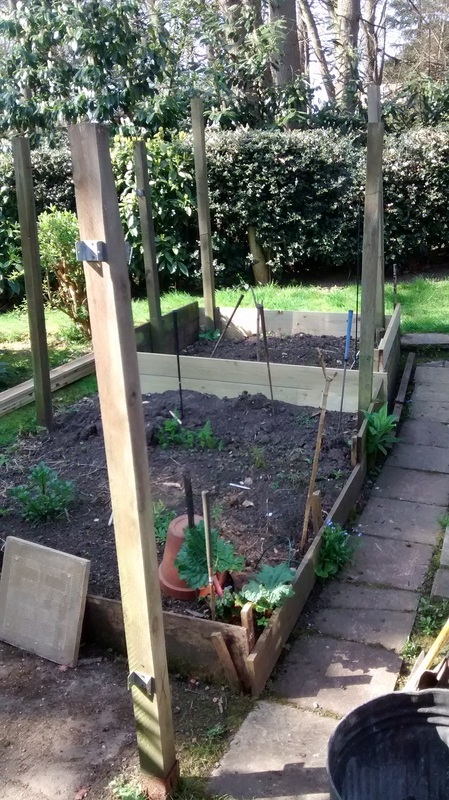 An old, slightly off-square raised bed and a few tired old retaining boards needed updating. The customer wanted to be able to work at a comfortable height and make best use of the available space. 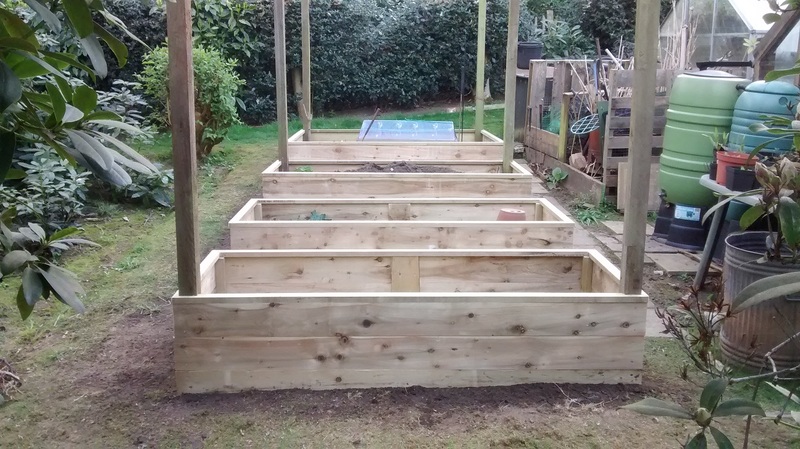 The site is slightly sloping so it was necessary to terrace the new beds with an eighteen inch path between them. Each one is 2m x 80cm x 75cm high. 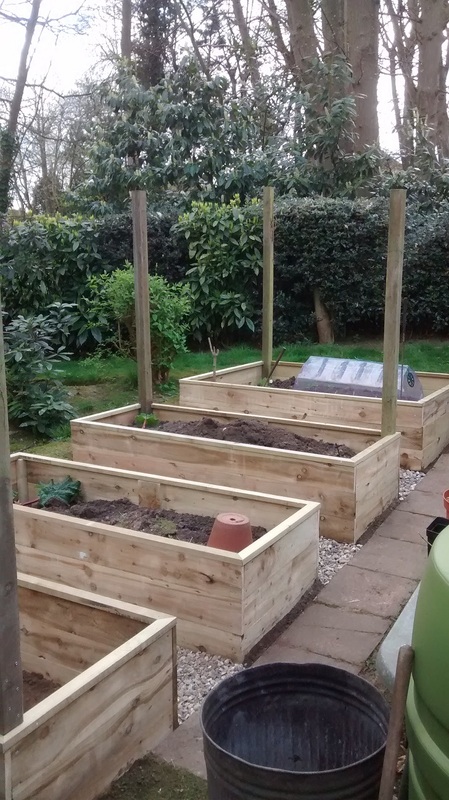 They were made to measure from 6" x 1" treated timber and will last for years. 2" x 1" capping mitred at the corners finishes them off nicely. The taller fence posts have been retained as supports for netting in the autumn as the site suffers badly from leaf-drop. 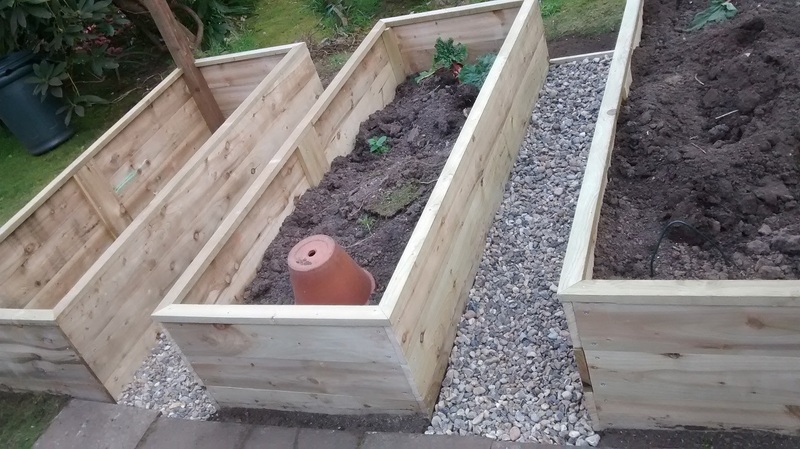 The finished beds can be filled with the right soil mixture depending on what you are growing and can be planted, tended and weeded without having to bend down. You can even sit down on the adjacent one while weeding or sowing. The paths between were laid with weed membrane before the addition of 20mm gravel.